Recipe for Fitness: A Banana Peel?? Really???? 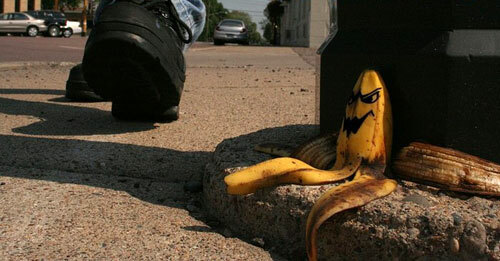 You know, I thought the whole slipping on a banana peel was an urban legend. I mean, really, who does that? Well, let me tell you who... ME. Yep, that's right. I slipped on a banana peel. Does my klutz know no bounds? Indeed. Here's how it, haha, went down. 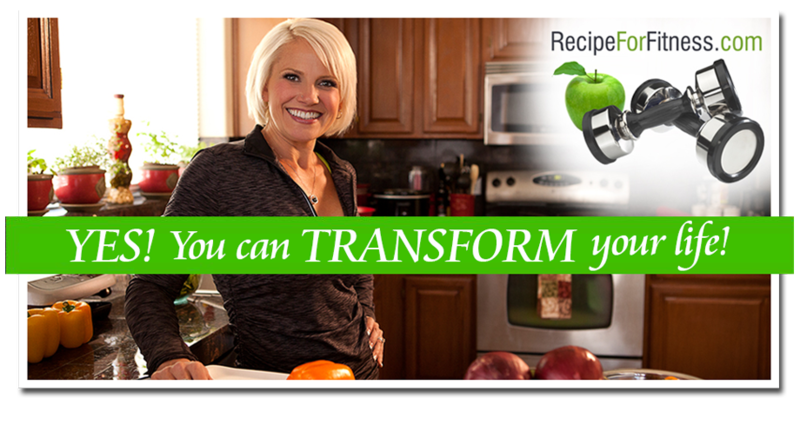 I'd spent the morning working to get the shopping cart on the new Recipe For Fitness storefront finished - I'd spent much time on the phone with GoDaddy figuring out the many nuances, I'd uploaded and downloaded, and worked until my eyes were crossed. Ready for a break, I dashed out the door to run my errands. WalMart finished (and that is NEVER an easy trip - people really are crazy, seriously), and having given in to the lure of the extra large turkey, I had a trunk full of perishables, but needed to make two more stops. Bank first - I pulled in, and aware of a thawing turkey, knew I had to make this quick. I grabbed my wallet, keys, and the new bank card to activate, threw open my door, stepped out and though something caught my eye, I was focused on the task at hand and sprinted for the bank doors. Inside I was informed that, No, Sorry, We can't activate here on site. You have to call the number on the card. Really? I'd left my cell phone in the car. RATS! Back out to the car. I get in and close my door (wouldn't want another bank patron to pull into the space next to me and take off my door - I've seen that commercial on tv!). As the car got stuffy, and warm (ummm, thawing turkey! ), I dialed and heard a message: "This number has been changed. Please call...." Argh! I didn't have anything to write with handy, so had to dig through my purse, grab a notepad and pen, then redial to hear the number again. Car is getting warmer. I call the new number and punched my way through the automated prompts only to be told by a snarky computer that my information was incorrect and I needed to hold for a real person. Warming Car. I can't turn it now on to get the AC because the bluetooth is finicky and disconnects if I'm already on a call. Finally, I am connected to a representative, who runs me through the process then says, "Ok, next we need your EIN." I don't have my EIN handy. "Sorry. Call back when you do." Visions of salmonella are dancing in my head. I hang up. Pull up my email app - I know I sent the form to myself at one point. I run the search, get the number, dial back and go through the whole thing all over again. Successful this time, now I just need to go back inside the bank, pick the pin and I can head back out. The turkey will be saved! I grab my wallet, my phone, my keys, and my newly activated card. I throw open the door, stepped down, swung my other leg out, stood, and went WOOOSH! Looking like a surfer hallucinating in a parking lot, I scrambled for my balance. What the heck just happened??? Remember that blur I noticed in my hurry to get into the bank? Should have paid attention. I look down, and there, on the ground, with my heel print in it and a smear across the pavement is a banana peel. This is when it occurs to me, my next stop needs to be home. Where it's safe. Where there are no banana peels on the ground. Where I can put my turkey safely in the refrigerator. I've been a fan of your blog for quite some time and have made some of your recipes (broccoli & cheese stuffed chicken the other day, which is great). I have to say, today's blog made me laugh at loud at my desk-not very good because I'm at work. I'm happy you weren't hurt (shoulder, back)but I did have a chuckle at your expense.